Grumo Nevano is in Naples Province, Campania. Photo of the gonfalone at <www.grumonevano.com>. 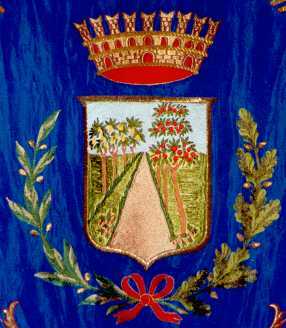 Photo of the central device (coat of arms) of the gonfalone at <www.iststudiatell.org>.